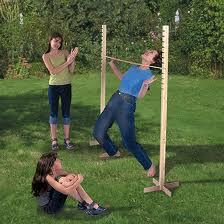 The limbo is supplied in easily carryable parts, which need to be assembled. The limbo is supplied in an easily carryable bag containing the game parts, which need to be assembled. People to play the game!